Map Richmond & Share Your Knowledge! With the current buzz around cycling generated from the Olympics and the Mayor’s vision, the authorities are increasingly looking for input from cyclists. Over the coming months we will be looking to harness the local knowledge of the RCC membership in a number of ways. 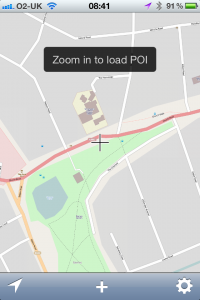 The first of these is to update our maps of the borough’s cycling facilities as they are today – via the OpenCycleMap. 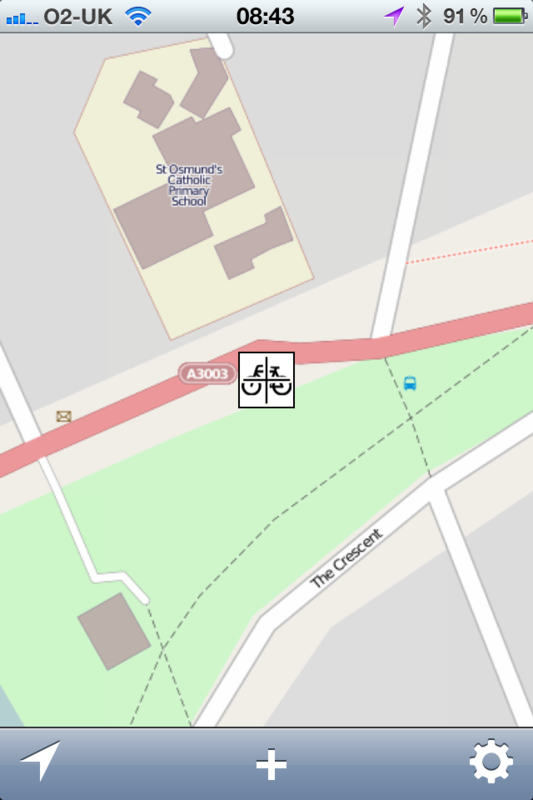 This is a cycling-friendly view of the OpenStreetMap (OSM) project, showing cycle tracks, cyclable paths, cycle parking and the London Cycle Network (LCN) routes. 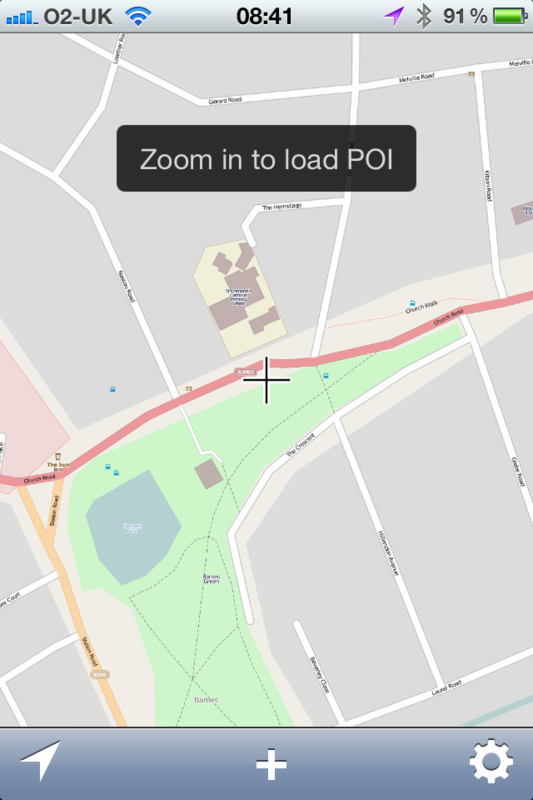 There are two unique things about OSM – (1) the map data can be updated by anyone – so if something is missing, you can add it (in that sense it is like Wikipedia for maps) and (2) rather than being just a picture of an area (as a Google map is), every single item mapped in OSM has data stored with it; and that data can be queried to find things out about an area quicky and easily. To see some examples of this in action – (1) this map shows (in green) the extent of 20mph speed limits in London – with the speed limit information being queried directly from data entered by OSM mappers; (2) this tool provides a way to query OSM data directly, the example here highlights all mapped bicycle parking in the Richmond / Sheen area; and (3) the excellent cycling route planner- CycleStreets – uses OSM data to optimise it’s routes for cyclists. So how can you help? By adding data to the map! 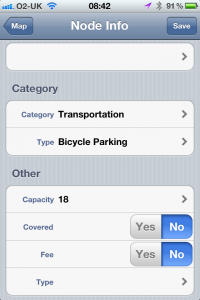 The basics of OSM are well covered here; and there is a tutorial & simple do’s and don’ts here. The tutorial covers use of the most popular online map editor (Potlatch2); but there is also a newer more user-friendly (albeit USA oriented) online editor in beta at http://ideditor.com/ . 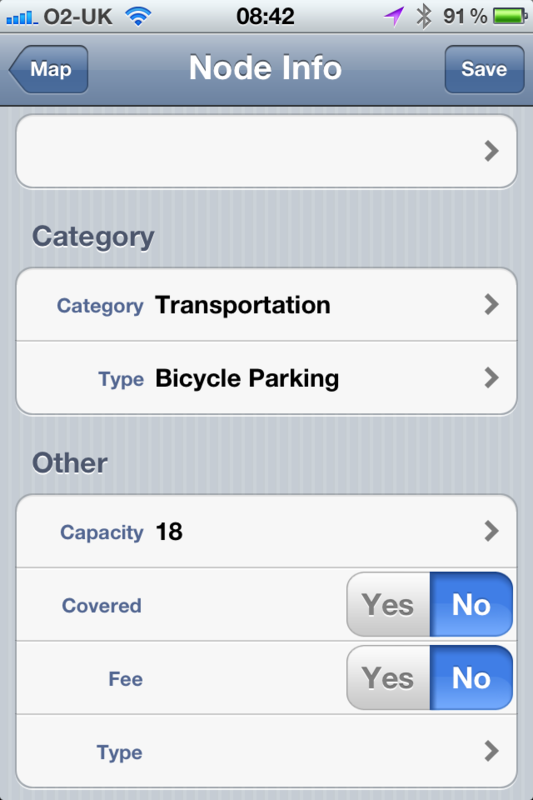 (3) Press +, choose “transportation” – “bicycle parking” and enter the number of spaces etc in the relevant fields. You can see from the earlier example that there are plenty of areas where we do not have any cycle parking mapped (& interestingly LBRUT keep no records of where they install them), so we are asking you to take a few moments to record the bike parking in your part of the borough – and then have the satisfaction that your local knowledge is now available to everyone. 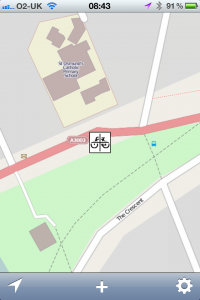 It typically takes a few minutes for your changes to appear on OSM; a few hours for them to appear on OpenCycleMap; and a few days for them to start being used by CycleStreets. Remember – when you make changes to OSM the whole world sees them – so you should ensure that your edits accurately reflect the state on the ground today. OSM is not the place to start sketching out great ideas for future cycling infrastructure – we will cover that in another post! This entry was posted in All Posts by acwoodward. Bookmark the permalink.